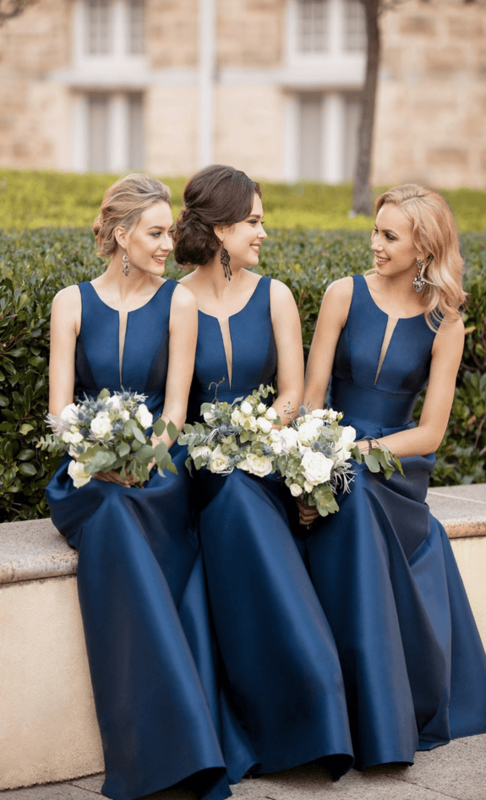 Home/Blog/New Bridesmaid Gowns from Sorella Vita are HERE! The new Sorella Vita dresses are here! And we could not be more excited about these superb trends. In lovely shades made of in-demand fabrics, these new dresses are sure to please even the most discerning brides and bridesmaids. Three of our new gowns feature off-the-shoulder flutter sleeves that we know brides are going to love! Taking a page from off-the-shoulder ready-to-wear tops, the flutter sleeves and off-the-shoulder straps are something brides will be familiar with. These new looks offer something trendy for the brides who are looking for a more fashion-forward bridal party. With a boho flair and a simple silhouette, these gowns are elevated enough for a ballroom ceremony yet easy-to-wear for a garden reception. If you have brides looking for a romantic style, this look definitely gravitates towards that. Two of the new chiffon dresses features a high halter neckline with keyhole detail. 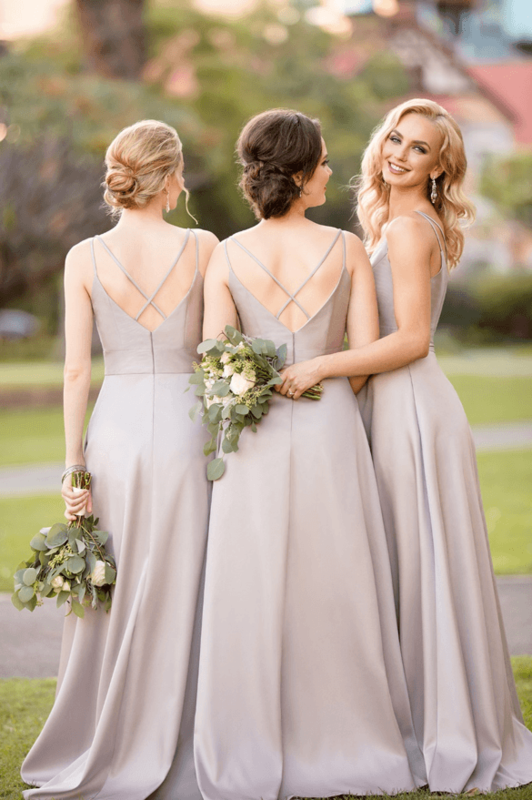 The strappy neckline feature is something brides have been asking for and paired with flutter sleeves, these gowns give brides exactly what they’re after. 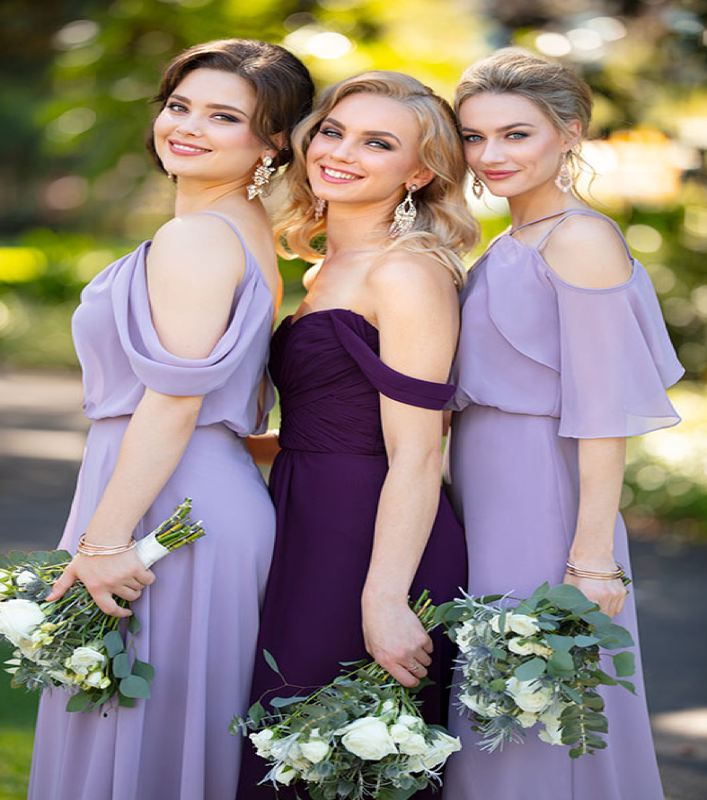 Remember, Sorella Vita’s chiffon fabric is available in 32 different shades so brides can mix and match any of our chiffon silhouettes for a cohesive color story. Following the success of Mikado, we’re introducing two new styles in this fabric. Classic, chic and sophisticated, these dresses offer a structured and traditional look. Available in a range of colors, Mikado is perfect for the bride who wants her bridal party to have a classic feeling. One of the new dresses features a plunging neckline with a pleated skirt for more of a clean yet simple look. The other new Mikado gown features a V-neckline and double strapped back for the bride who wants a modern take on traditional. Brides who are having a more formal wedding will love these new styles. Think of them as an updated take on satin – the structure brides love from satin without the dated sheen. Show brides who want a more uniform and classic look Mikado and they’ll be saying “yes” to the dress.